You've heard her Pops blasting out of shop stereo systems for weeks now, wishing us a 'wonderful Christmastime', so why not include Stella McCartney's adorable sets of seven pants for kids, in the traditional days of the week. They are quite pricy I must admit, and the boys' ones look like they could be made by Primark as much as McCartney. 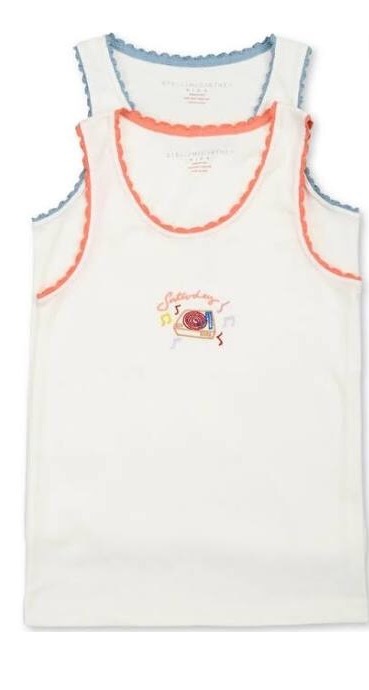 There's also a set of vests for girls. I'd love the one with the record player myself. Happy Seventh Day of Christmas.